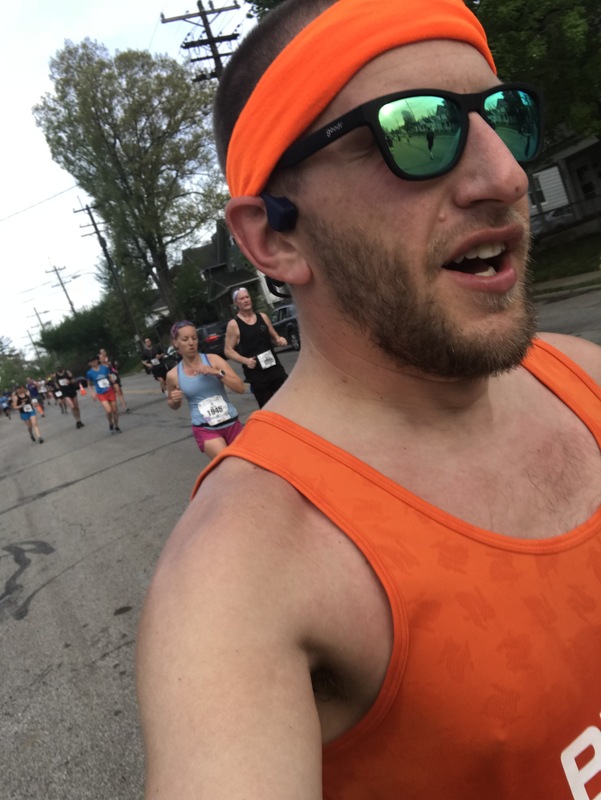 It feels as if it was just yesterday that I began participating in #bibchat – a weekly Twitter-based discussion group focused on running, hosted by the folks over at BibRave.com. 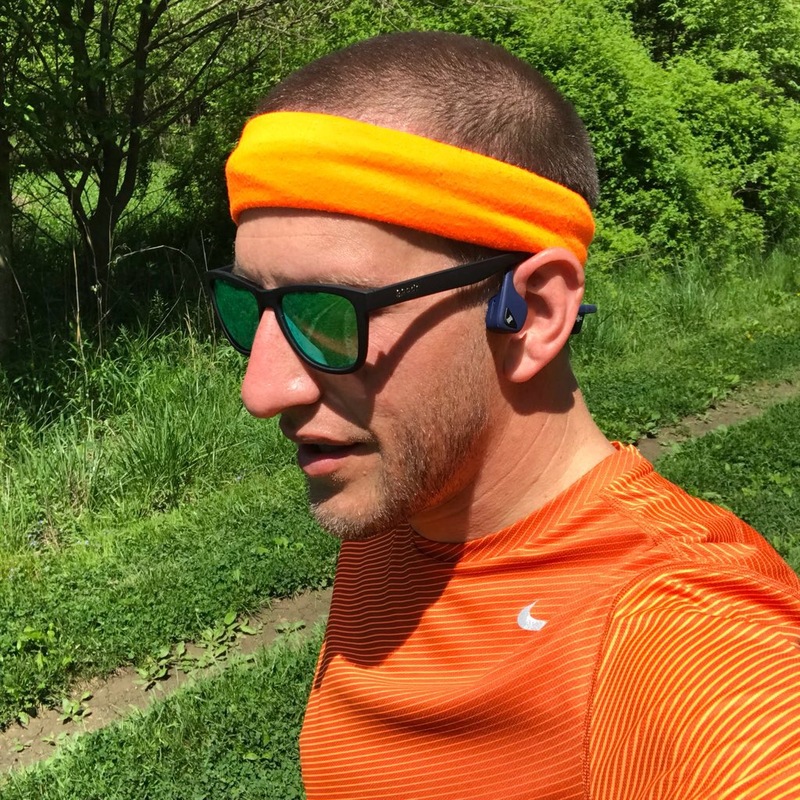 Over the course of my interaction, I’ve had the opportunity to converse with some really awesome runners, learn about new running opportunities, and become aware of some amazing running gear I knew nothing about. One particular piece of gear (er, brand) that had been popping up on accounts I’ve followed recently is something called AfterShokz. This company makes a different take on the wireless headphone, sitting the main sound output OUTSIDE of the ear – rather than in it – enabling the user to still hear what is going on around them. 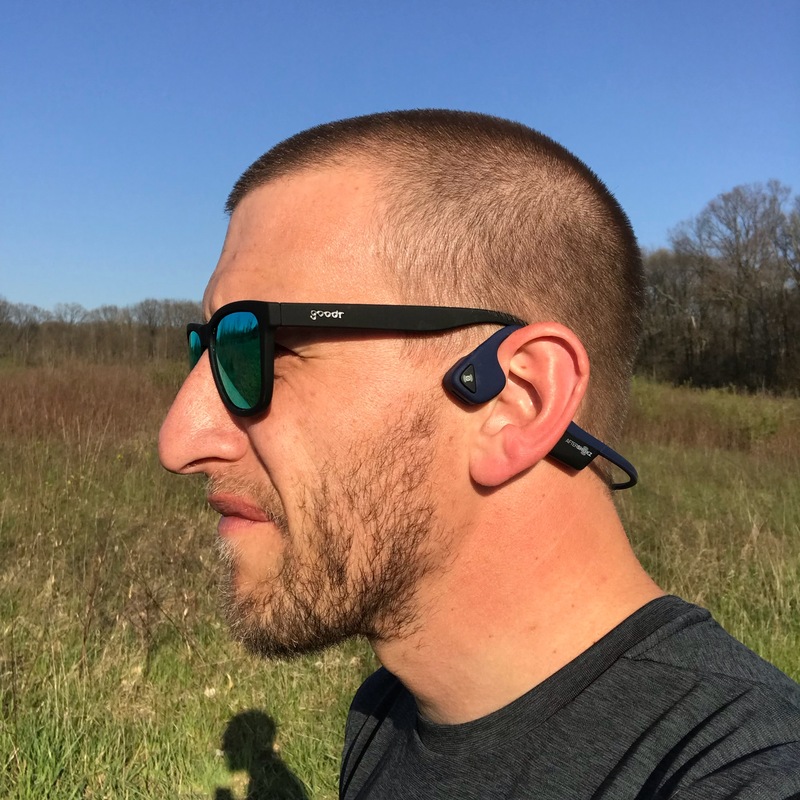 I got a chance to see a few pairs of these headphones in person a few weeks back when I ran into a few of the BibRave Pros (@daddydidyouwin and @mmaynard551) before the start of the Glass City Marathon in Toledo. Their positive take on these only helped fuel my curiosity. Naturally, when it was announced that AfterShokz was going to put out their Spring ShokzBox, I was interested. This box is essentially a grouping of some very popular running gear at a very good price. So, I jumped at the opportunity and splurged on a box for myself. It arrived about two weeks ago. Having now had an opportunity to put the items inside to use, here’s my review of the Spring ShokzBox. The biggest and overarching big win of this box, without a doubt, is the value. Anyone who says that running is an inexpensive experience is a liar. Adding up the approximate retail prices of the products reviewed below, the total cost to buy these products individually (before any taxes & shipping) comes to right around $280. The Spring ShokzBox itself with all these items inside is $199.95 – with no shipping cost. Even someone who got an F in Algebra can figure out that the ShokzBox this is a great deal. I genuinely cannot say enough good things about these headphones. After finally getting to see them in person in Toledo before the GCM, I was sold on the idea. They sit VERY comfortably over the ears and they stay in place – no bouncing, no movement of any kind.The sound output is fantastic and I really can hear everything going on around me. I run primarily outdoors, so being aware of what is going on around me is crucial. An added bonus with these headphones is that I don’t feel as I’m yelling when I still have them on – as is the case with most in-ear or over-ear configurations. If you don’t already have these, get them NOW. This one I’ve been skeptical about for a while, but was also very eager to see what all the fuss is about. Turns out, it’s pretty darn handy. First off, it’s made from moisture-managing microfiber fabric – the closest thing I can compare it to would be a DriFit-esque type material – which means it is very lightweight and keeps you dry. It is also wind resistant which can keep you protected from windburns during your workouts. The big takeaway here is that it can be worn more than 12 different ways, making it very easy to create your own look while still being comfortable. I prefer the traditional headband look, but I’m sure that will evolve. The only downside to THIS particular Buff (if there actually is one at all) is that it is not available for individual purchase and is just part of this ShokzBox. However, there are PLENTY of traditional Buffs in a variety of designs over at Buff’s website. I’m not one for hats on a daily basis, nor when I run, so this is actually the one thing in the box that I can honestly say I have not used when running. However, if I did wear it while running, I’m pretty sure that I’d comfortable. This trucker style hat boasts a wicking headband on the inside and generous mesh panels around the side and back, which would keep me both cool and shaded. If I’m being completely honest, I like it because it’s orange – sue me. Perhaps it’ll make it out on one of my runs in the future, just not yet. Since I drove to my running location today, I actually put this one to use (finally!). There really isn’t a whole lot of fanfare to this one besides the fact that it is multifunction – it can be used as a car seat cover, a towel, and/or as a cover/wrap for an impromptu wardrobe change. If you are using it for the latter, it does have a built-in “belt” of sorts to keep it in place. Comes in a variety of colors (mine is blue) and is fairly soft to the touch. Sure beats a regular beach towel for the driver’s seat and it fits better too. No fanfare here. Simply put, these are removable and reusable reflective strips, designed to enhance visibility of the wearer in lower-light conditions. Incredibly smart idea and I wish EVERYONE who goes for a run/bike ride/etc after the sun goes down had these. On that same note about nighttime safety, carrying some kind of light source during a night run is essential. Using a traditional flashlight or even the light on a smartphone isn’t very efficient for one’s activity, as one would have to hold the light source at an uncomfortable angle. A headlamp is a great solution, but the down side is an often itchy or uncomfortable headband. Solution? Knuckle Lights. These handheld lights wrap around the base of the fingers with a flexible strap. This ultimately utilizes the natural way the hands close when we run to A) hold the lights and B) put the light exactly where it is needed. The lights themselves are INCREDIBLY bright and has three modes (high beam, low beam, and strobe). If you’re running at night and you don’t have these yet – GET THEM. When looking at the items in this particular ShokzBox, I’m hit with a trifecta of themes: comfortable, convenient, and safe. Everything in this box has value and will absolutely have a place in my plethora of running gear (well, maybe not the hat right away, but it’s still cool). 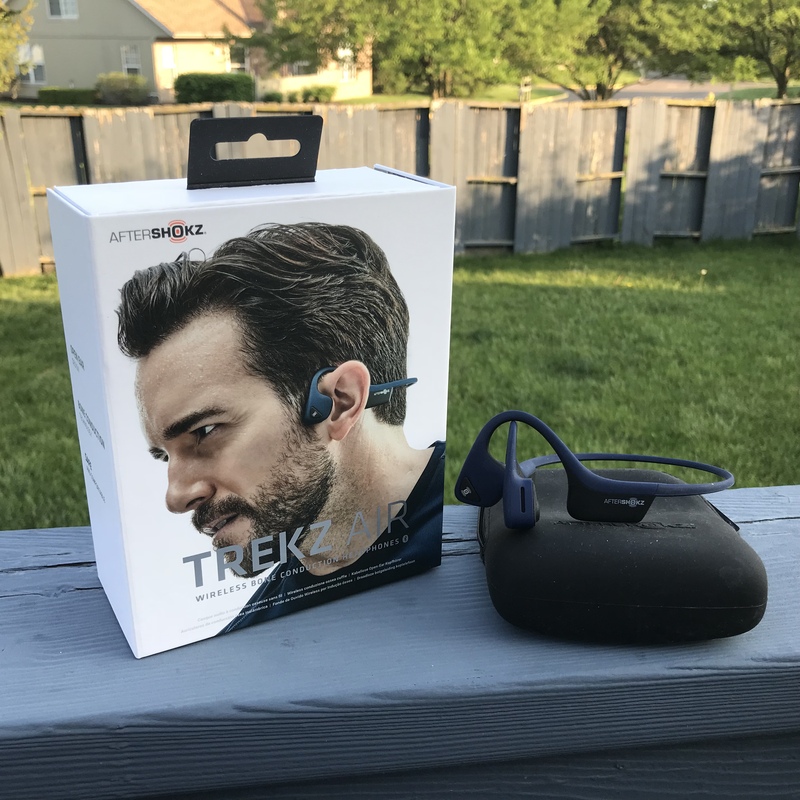 Thank you AfterShokz for putting together such a great deal! Get your ShokzBox while they are still available over at AfterShokz. 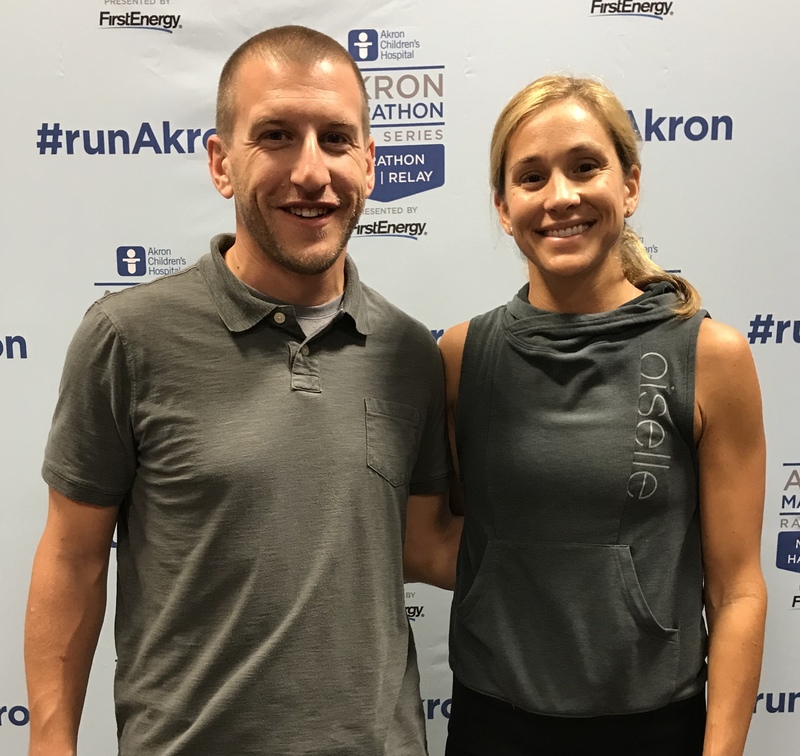 Click HERE to learn more about Nationwide Children’s Hospital and to support me as 2015 Columbus Marathon Children’s Champion. Over the last few weeks, I’ve been debating what I want to do next in regard to my running. Should I stick to the 5k circuit? What about a marathon? 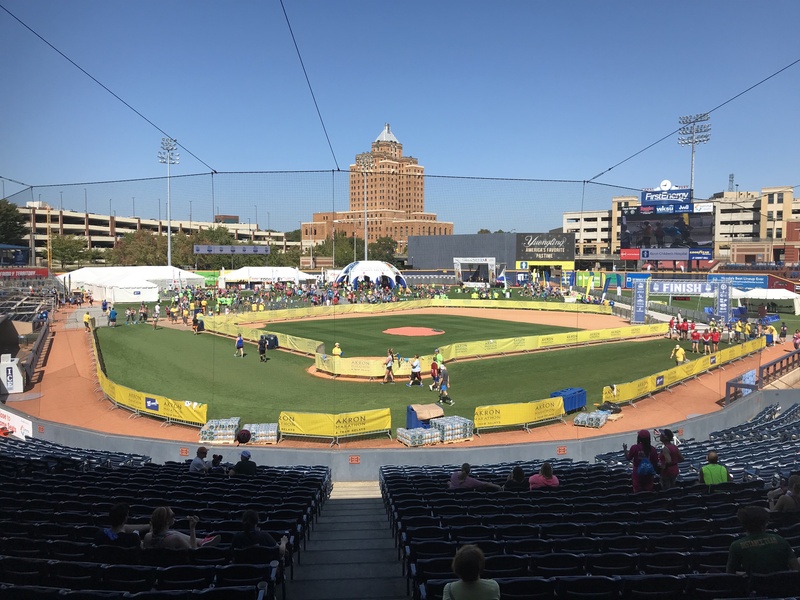 I can tell you now that I hope to run a few more 5k’s this year and maybe even move up a few more spots in the Wayne Healthcare Challenge. 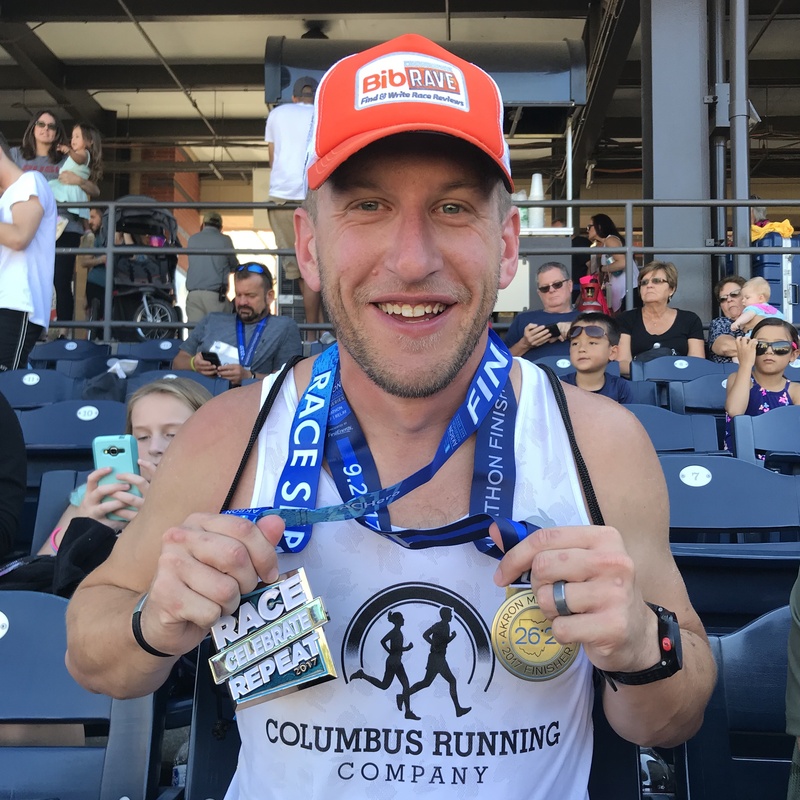 However – and as I’m sure you may have guessed by now – I have also answered the question about taking on a marathon as I have officially registered for the Nationwide Children’s Hospital Columbus Marathon this upcoming October. So let’s be honest – the headline for this post should read more like “Going for (26point)Two“. In the spring of 2004, I lost my father to a very severe form of brain cancer (more on that here) and I was struggling pretty bad. I was struggling with my academics, I was struggling socially, I was struggling emotionally. At any given point in 2004, one could say that I was a first-class passenger on (or potentially the captain of) the Hot Mess Express. The only places or times that I felt I had control and where I wasn’t struggling (as much) was when I was playing music or running. By the time fall of 2004 came around, I had changed my major to one with a sports focus. This meant I needed physical education credits. Thankfully, BGSU offered both Jogging which was taught by an experienced coach, runner, and all around great person. Running – exactly what I needed. She and I figured out very quickly that “jogging” wasn’t going to cut it for me – I needed more “running” – and we made it work quite well. As a result, my instructor nudged me to take on a greater running challenge. Her intent was not for me to specifically go after the marathon, but hey – go big or go home, right? So, I that it would be cool to sign up and participate in the 2004 Columbus Marathon – my first marathon ever. What a day that was. My training wasn’t great and my performance wasn’t much better. There was quite a bit of both running and walking throughout the day, but I am proud to say that I did, in fact, run approximately 20 of the 26.2 miles and finished in 4:49:55. It wasn’t pretty and I was pretty well useless for the next 36 hours, but damnit I finished. Running is my sport. It has helped me connect with new people, taught me discipline, and (obviously) has helped me cope with some of the not-so-pleasant parts of life. Running has helped me to remain healthy and able to participate in a wide range of activities, including collegiate marching band. Running is my sport and it is high time for me to get back to it. So, I’m going to run the Columbus Marathon for the second time. The difference is that this time around I want to do MUCH better. I have my 18-week training schedule (Thanks, Hal Higdon) plotted out along with some supplemental workouts. My wife, Tammi, and I do what we can to cook at home and eat healthy, but let’s face it – cheat days happen. Ultimately, I would love to run a sub 4-hour marathon. Hell, I’d love to run well enough to qualify for Boston. 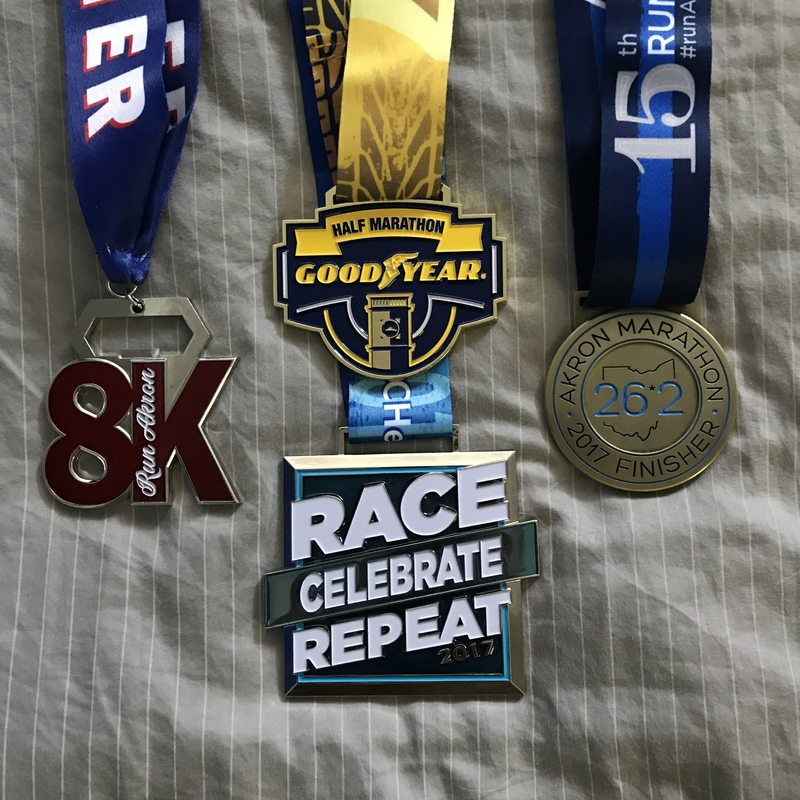 Honestly though, I just want to do three things: run all 26.2 miles and beat my previous time. The third thing I want to accomplish is meeting my fundraising goal as a Children’s Champion. Nationwide Children’s Hospital works day in and day out to cure, mend, comfort and save an estimated one million children who will walk through the hospital doors this year. I am seeking to raise $1000 to help support Nationwide Children’s Hospital and simply ask for your support in working to meet that goal. Your contribution will help children everywhere through the life-saving research and care done right here in Columbus.